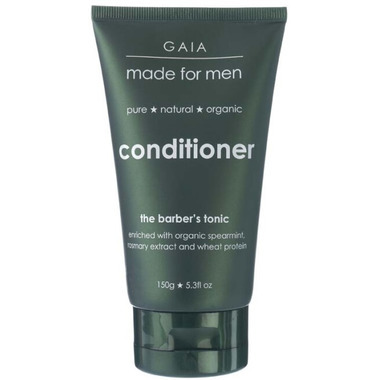 The barbers tonic - refreshing and stimulating, this silicone free conditioner has been blended with organic spearmint to help increase circulation and stimulate your scalp promoting healthy hair growth. Wheat protein and d-panthenol (vitamin B5) strenthen, thicken and provide nourishment leaving you with healthy looking hair. This light conditioner nourishes hair, leaving it soft and shiny without oiliness. Helps promote elasticity and tame any 'frizziness' while maintaining a healthy the scalp.